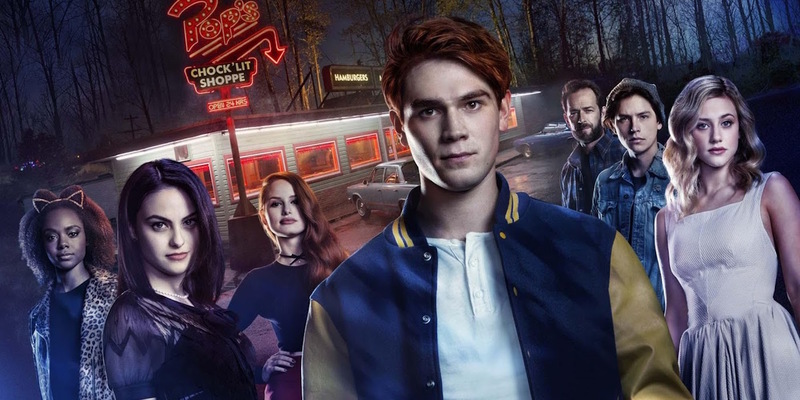 Riverdale creator/showrunner Robert Aguirre-Sacasa has revealed additional season 2 episode titles that further hint at the darker tone and influences for the second chapter in Archie and friends' story. As Chief Creative Officer of Archie Comics, Aguirre-Sacasa has been one of the main players responsible for the multimedia Archie property's exploration of darker genre territory in recent years. While Riveradale has given the franchise a Twin Peaks-inspired Noir spin on the small screen, spinoff comic series such as Afterlife with Archie and Chilling Adventures of Sabrina have taken the brand into supernatural horror territory. While season 1 laid a foundation that could allow Riverdale to go "fully supernatural" one day, season 2 is instead expected to push further into Noir/thriller territory following the shocking events of the season 1 finale. In case there was still any doubt that life for Archie will be darker in season 2, the season 2 episode titles revealed so far are lifted directly from classic horror/thriller titles - including one that Aquirre-Sacasa has a significant history with. Having previously announced that the Riverdale season 2 premiere will be ominously titled "A Kiss Before Dying" (followed by an episode titled "Nighthawks"), Aguirre-Sacasa has now unveiled the title for the fourth episode of Riverdale season 2 - as was written by Amanda Lasher (Sweet/Vicious), a new addition to the show's writers room in season 2. This news comes but a couple weeks after the showrunner unveiled the title for the new season's third episode with a separate Twitter post (also included below). "The Town That Dreaded Sundown" is the title of a cult 1976 horror/thriller about a serial killer who terrorizes a small town in Texas. Aguirre-Sacasa actually wrote a "meta-sequel" to the film in 2014, also (somewhat confusingly) titled The Town That Dreaded Sundown. Given that someone attempted to murder Archie's dad Fred in the Riverdale season 1 finale (and may have even succeeded), it stands to reason that either a killer or would-be killer is on the loose in season 2. That would make the title of episode 4 all the more appropriate. Aguirre-Sacasa's post also alludes to the rivalry between Archie and Reggie Mantle (now played by Charles Melton), which is expected to be a bigger element in season 2 than it was in season 1.